Counting down to 9-days before #Nats Spring Training camp opens! The countdown has started to the Washington Nationals official opening for Spring Training on February 14th, and we are just nine days away. 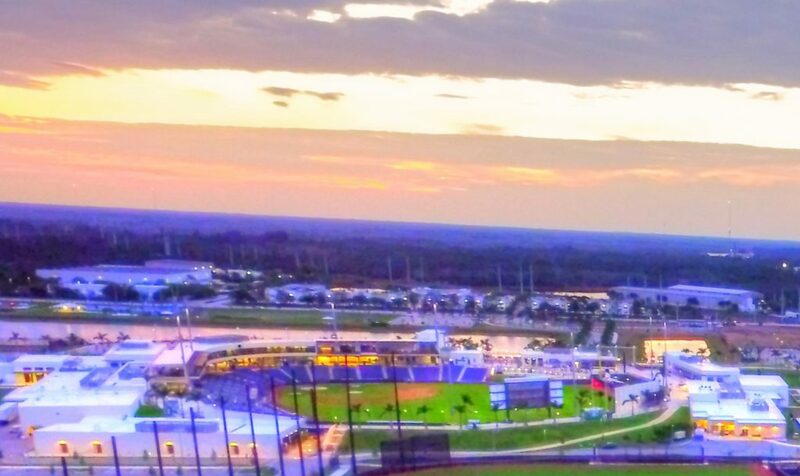 We know most of the players who will be on the Major League side of the complex at The FITTEAM Ballpark of the Palm Beaches which will include the healthy players on the 40-man roster and a few non-roster invitees like Carter Kieboom, Matt Reynolds, Henderson Alvarez, Vidal Nuno, and J.J. Hoover. The rest of the non-roster invitee list is a closely guarded secret. 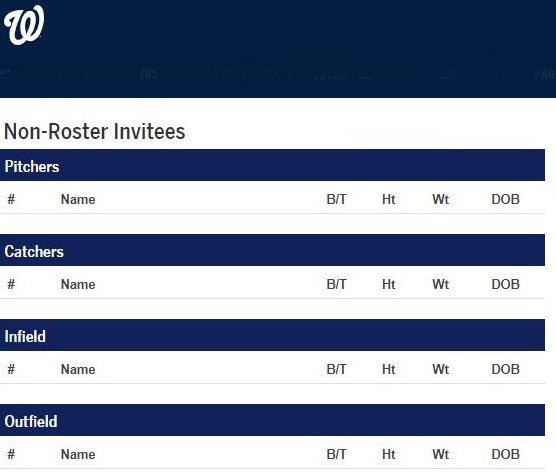 It appears that all teams except the Nationals have disclosed a preliminary list of their non-roster invitees who are players not on the 40-man roster who will practice side-by-side with the Major League players with high-hopes of making the Opening Day roster. Given the depth of the roster, the odds are low for a non-roster player to make the Opening Day roster and if it happened it would seem the only chances would be for the 5th starter spot in the rotation and a bullpen slot. Yesterday was what they call “Truck Day” which signifies the day the moving vans arrive at Nationals Park to load up supplies for Spring Training. It is a 981 mile trek down to the Nationals spring training home at The FITTEAM Ballpark of the Palm Beaches. #TruckDay's here! #TruckDay's here! #TruckDay's here!#TruckDay's here! #TruckDay's here! #TruckDay's here!#TruckDay's here! #TruckDay's here! #TruckDay's here! Some of the players have already arrived down in West Palm Beach. It looked like Adam Eaton and Ryan Zimmerman were the first of the arrivals. Other players will start arriving and moving into their Palm Beach County rentals for the two months of Grapefruit League action. At the Nationals “Hot Stove” event for season ticket holders, manager Dave Martinez mentioned not once but twice that he did not believe Mike Rizzo was finished making acquisition(s). With 101 free agents still unsigned, the odds are Martinez is correct as most teams on average could sign 3-to-4 players to either a Major League deal or a minor league deal with an invite to Spring Training. This is all part of the intrigue in what we saw last year and the year before when moves were still being made. The 1,ooo pound gorilla in the room is obviously Bryce Harper, and the fact that he is still a free agent and unsigned to this point, and the same goes for the best closer on the free agent market, Craig Kimbrel, as he also remains unsigned. Add to that former Astros ace Dallas Keuchel and infielder Manny Machado and you have enough star power to change the dynamics of a team, and statistically change W/L projections by a 2-to-4 games in the standings. Every team hopes that if they cannot sign Harper, Machado, Kimbrel, or Keuchel that no team in their division gets them.